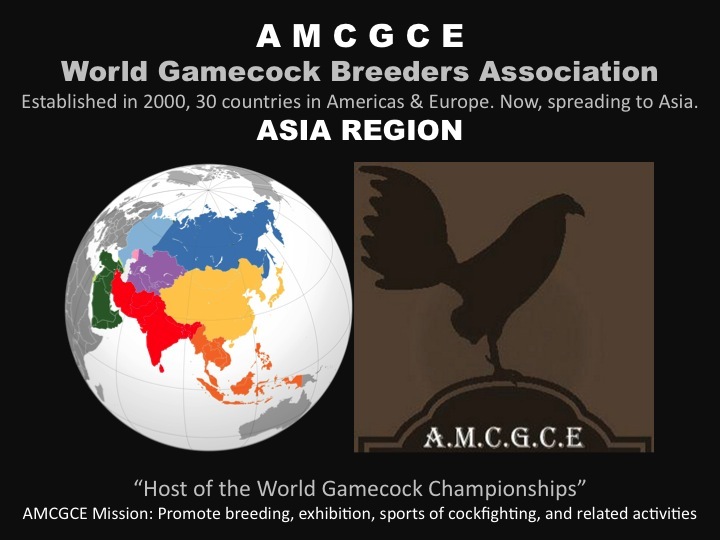 The first priority is to pursue working relationship with existing associations on promoting and legalizing cockfighting worldwide. The second priority is to find volunteer/s to organize locally and to start online presence of AMCGCE for Asian countries. The third priority is to host the World Gamecock Championship in Asia. Next Post Why an Oklahoman Cockfighter was shot dead?